From the 5th to the 9th of July 2018, the first skillsharing will take place at the Trebur Occupation! 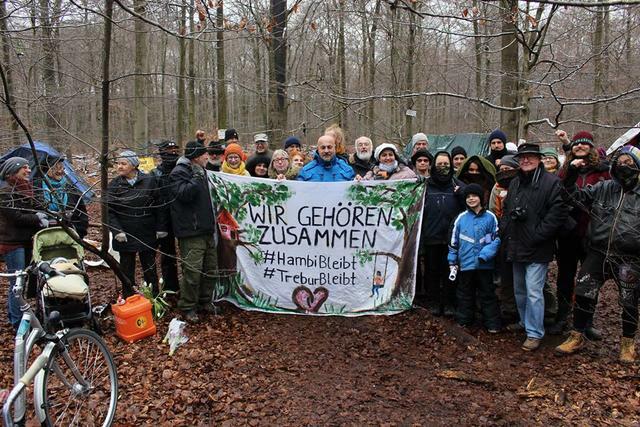 The Trebur Forest has been occupied since the 6th of January in order to stop its destruction through the airport expansion and as direct action against Fraport’s unsustainable growth. We are a diverse group of free people who are counteracting the exploitation of humans and nature. The Skillsharing is a common experiential space for the exchange of skills, knowledge and fellowship in which we network, share and celebrate with each other. There are different ways to get involved, i.e., participate in workshops, giving some or just getting to know other great beings. Whether you have money or not does not matter.